During a panel at PAX Prime 2015 today, Inti Creates made an announcement about Azure Striker Gunvolt. The company revealed that an update is planned to add Japanese voices to the game. Just announced at PAX: @t_aizu says full Japanese voice mode included in GunVolt PC, -and- coming as an update for the 3DS version! At this time, it’s unknown when the update will be made available. 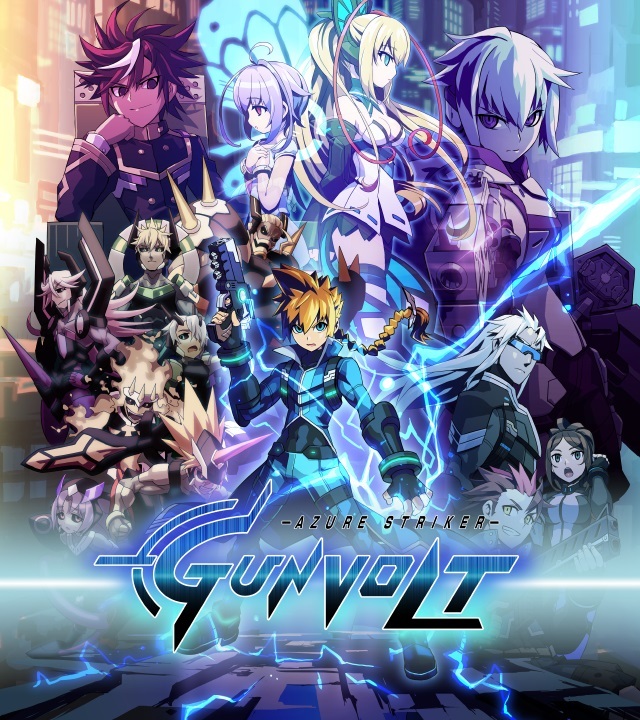 During a session at Too Many Games, Inti Creates announced that Azure Striker Gunvolt has seen over 120,000 downloads. The most recent milestone of 110,000 downloads was confirmed in late April. Inti Creates also said that the company currently consists of roughly 100 staffers. The Azure Striker Gunvolt team is made up of about 40 people. 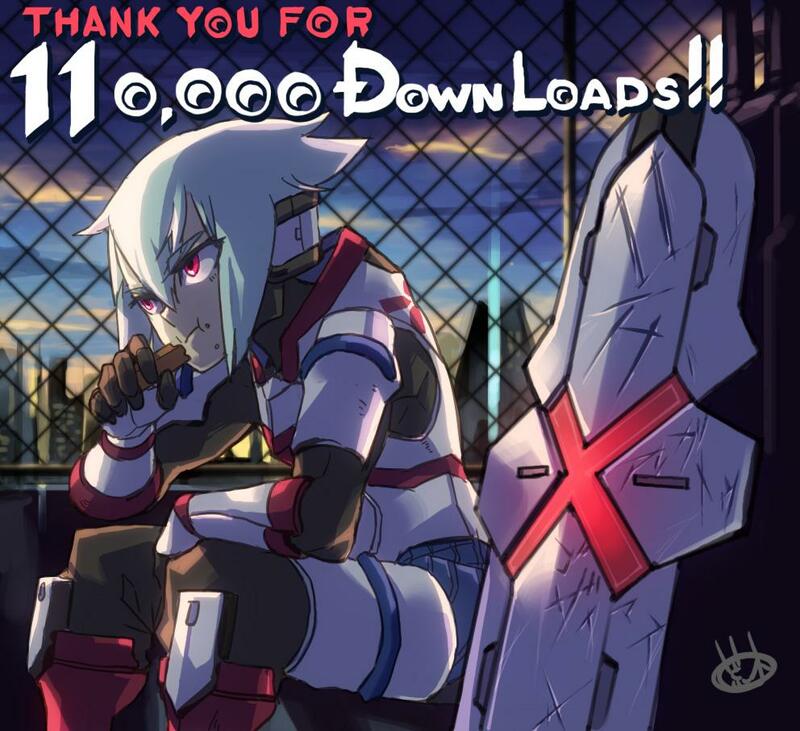 Inti Creates announced on Twitter today that Azure Striker Gunvolt has now been downloaded over 110,000 times. To celebrate the milestone, one of the game’s character artists created a new piece, which we’ve attached above. 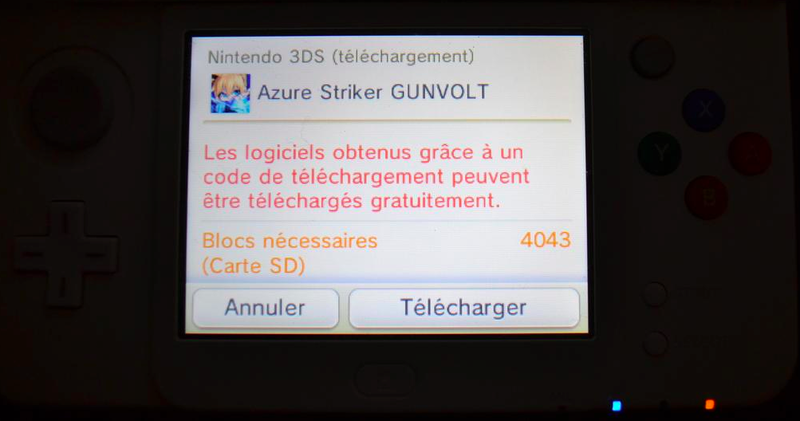 Azure Striker Gunvolt reached 90,000 downloads back in January. It was later confirmed in mid-March that there had been over 100,000 downloads. 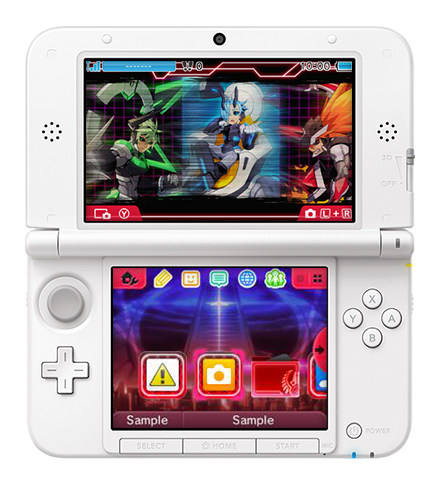 Three separate 3DS themes for Azure Striker Gunvolt will launch alongside the game on release day. More details to come later in the week so stay tuned! Update: Bumped to the top, as the listing has been pulled. Was it discovered too early? Or was it a mistake? 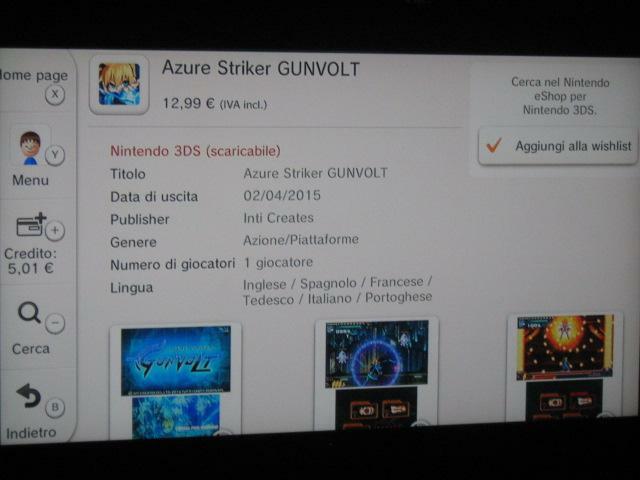 Azure Striker Gunvolt appears to finally be coming to Europe next week, based on a listing from the eShop. The game will apparently arrive on April 4 for €12.99. This date hasn’t been officially confirmed just yet, but eShop listings tend to be spot on these days. We’ll let you know if/when an announcement is made. Inti Creates isn’t slowing down on the Azure Striker Gunvolt news! There are two notable pieces of information to share. The first is Azure Striker Gunvolt’s new “The Sumeragi 7” theme for 3DS. This is due out on March 5 for $1.49. Additionally, a demo for Azure Striker Gunvolt is launching on the same day. Data can be transferred to the full version. First let’s have a look at the new theme, “The Sumeragi 7?. This one features the seven Sumeragi boss characters in a scrolling image on the upper screen, and some nighttime city scenery on the lower screen! The boss battle theme “Sumeragi Skirmish” plays in the background. The Sumeragi 7 theme will be available for $1.49. 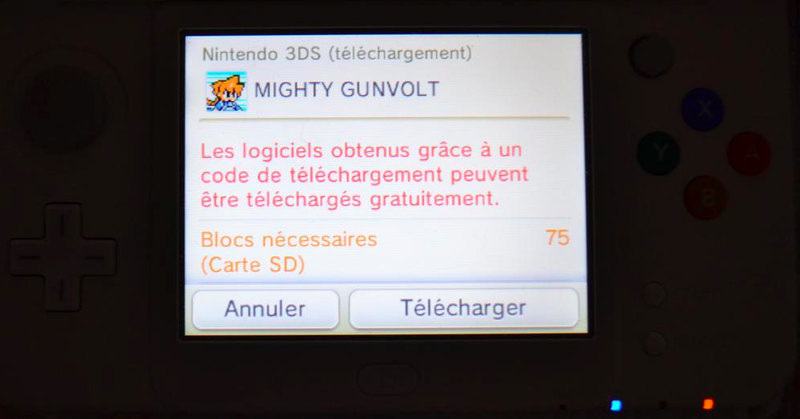 For those of you who haven’t had a chance to play Azure Striker Gunvolt, you now have the opportunity to try before you buy! The demo version of Azure Striker Gunvolt will be playable up to 20 times, and includes a special bonus for those of you who purchase the full version after completing the demo version! Players will be able to enjoy 500,000Vig (in game currency) and ample item snyth materials so that you can start powering up Gunvolt’s arsenal right away! Inti Creates shared official details about Azure Striker Gunvolt’s 1.2 update, which is now confirmed for release in North America on March 5. As previously mentioned, the patch adds New 3DS functionality and the Sakura Efflorescence song from Lumen. There’s also a new Boss Rush mission, support to transfer demo save data to the full game, and bug fixes. Read up on the full patch notes below. 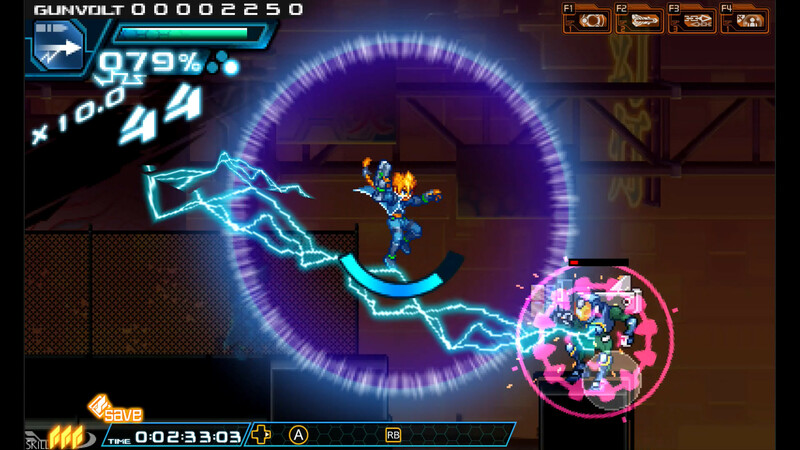 As for the version update, Azure Striker Gunvolt has been recharged and loaded up with brand new features for Ver. 1.2! Beat the game to unlock the new Boss Rush mission! Get 1000+ Kudos during Boss Rush to hear the English version of Beyond the Blue! Lumen’s brand new song “Sakura Efflorescence” now plays during normal mission playthroughs! Use the ZL Button and ZR Button to change your weapon on the fly! Enjoy higher CPU power and shorter loading times too!